4 get someone to hand launch the plane for you, if not possible launch with no more than half throttle at a slight upward angle and a mid effort toss, if it won't fly at half throttle it probably won't fly at all. Good luck on the maiden. A few tips on it that's rarely mentioned. 1 check your C.R.A.P., after you do that, check it again. 2 make sure the prop is facing the right way, the numbers always face forward on a tractor setup, or even pusher setup unless said prop is specific for a pusher. 3 and this is very important. Launch with the sun at your back and never fly behind you, and if possible don't fly directly at yourself until you learn the controls and plane orientation. 4 get someone to hand launch the plane for you, if not possible launch with no more than half throttle at a slight upward angle and a mid effort toss, if it won't fly at half throttle it probably won't fly at all. 5, relax, it's just foam. Should I have? Or maybe I remember it as something else. OR, I'm just getting Old!! Other reason why everything HAS to have Landing Gear!!! Mayan, what you said may make sense.... If I'm taking off with 2S for Power, would I have enough thrust at half Throttle? I'm still learning with a lot of you. C-check that you Control surfaces go the right way. R-check for any Rips or tears. A-make sure all off the Angles are the way they should be. You will but I just like to make sure I have enough power to gain altitude quickly that gives me some peace of mind to make mistakes. After I gain altitude I reduce throttle to 50% +-, usually after about 5-10 seconds after I hand launch. BTW you mentioned on another post that it’s hard to belly land in your area, trust me that where I fly it ain’t any better. If you look at one of my last videos I think it from the 19th of the month you’ll see that the plane has some jumpy belly landings when it jumps off a ramp pile of rocks and dirt. Most times it lives the next day. The Preflight! Minus a few things. VERY good, very easy to remember! Yeah.... I've been to Israel.... MANY years ago! I do remember that the terrain is VERY similar to the Mohave Desert here. Being serious, we do have a bunch of closed or rarely used Roads, that are used for Runways and Go-Cart tracks. Asphalt will really do a number on THESE Bellies!! 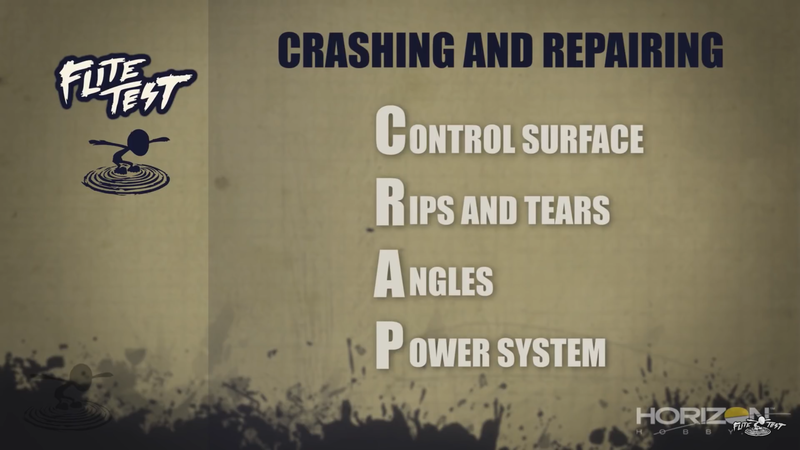 Which is also why I'm converting most of my Aircraft to Tricycle Landing Gear. Nose overs can hurt too! I CAN'T prevent damage!! I am trying to lessen it, because it could end up being too expensive for me to fix. 2. hold the transmitter in the left. 5. Quickly get that right hand on the controls as you usually need a touch of back pressure. You can use that battery checker and just strap it on with a rubber band and listen for the beep or set a timer. Two layers of packing tape works wonders on bellies to prevent road rash. I'm going to need another Roll of Packing Tape soon... Fortunately the last one I got at Dollar Tree was quite thin, and so far seems pretty strong. I still want Landing Gear! I'd stick two of those Legacy sized Wheels to the sides of the Mini Speedster I just finished, pop them straight in with nails, to the sides of the Fuse!!! But....... It might be too heavy to fly! Belly landings? You're the eternal optimist. i would have to him to keep the tape to repair his wings and fuselage. You got a F-4??? SWEET!!! One of my favorite Jets growing up. Dad always called it a "Mach 2, heavily Armed BUS! That needed all those funny angles, to make up for Aerodynamic Deficiencies." I still always thought it looked COOL!! I built 5 plastic Models of it, from 1:144th Scale to 1:48th (which was HUGE for a young kid). Can't wait to see her Fly! I plan on using that Battery Checker. That's indispensable in the age of Lipos!! Gonna try to get some more. They're cheap on EvilBay. All this talk about hand launching reminds me, I don't have a Lanyard!!! I think I'll NEED one. I'll try your "7 Step Plan", and hope to stay away from step 7!! I think I'd save these fancy ideas until you've figured out how to land on anything other than the nose. It's not going down as catastrophic as you're SURE it's going to be. And that's still not saying that I'll never Crash, because I will. Already talked to him. He's generously offered to help me with both getting up - and getting back down! I can't wait to meet up with him, and Stephan, that's going to be great!! But I don't want anyone thinking that I'm just blowing off good suggestions either. I appreciate the help and support I've been given so far! I'm not sure of anything, except that I won't be around at some point in the future. For everything else, I use probability. Once you've digested all that, you can feed in the numbers to calculate your probability of success. From all the data on this forum we can take it that μ, the average of the number of successes that are within your region, is zero. By region, it means the similar instances to yours. Zero squared is zero, and zero times any number is zero. Therefore the probability of your success is also zero. Don't blame me. Blame the maths. I wish you luck, anyway. I'm just about to buy my lottery ticket. somebody has to win. That's why I keep buying them. I hope it's going to be me. What do you think? PS. If you take seriously anything I write, there must be something wrong with you. PPS. If you get help from an experienced pilot, your probability of success gets closer to a certainty. Success is satisfying, but it might not be as much fun. You got a F-4??? SWEET!!! One of my favorite Jets growing up. My best friend picked it for me earlier this year for my birthday. It's been sitting in a bedroom closet ever since... waiting on a Spektrum radio. That said Ben @Mid7night has plans for an F-4! I've always loved the look of them in Vietnam era Air force colors! (Yes, shark teeth included) so that'll probably how I'll finish it. I've always heard that the lottery was a tax on those bad at math!